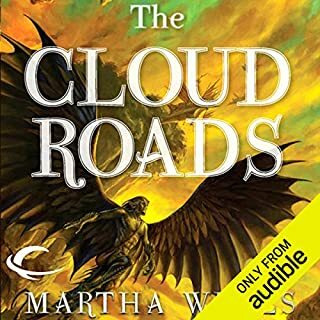 An expedition of groundlings from the Empire of Kish have traveled through the Three Worlds to the Indigo Cloud court of the Raksura, shape-shifting creatures of flight that live in large family groups. The groundlings have found a sealed ancient city at the edge of the shallow seas, near the deeps of the impassable Ocean. They believe it to be the last home of their ancestors and ask for help getting inside. All his life, Moon roamed the Three Worlds, a solitary wanderer forced to hide his true nature - until he was reunited with his own kind, the Raksura, and found a new life as consort to Jade, sister queen of the Indigo Cloud court. But now a rival court has laid claim to him, and Jade may or may not be willing to fight for him. 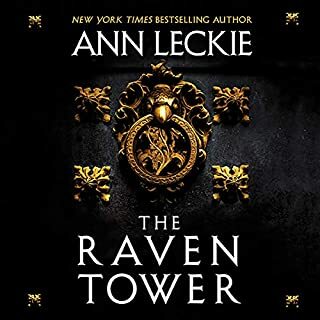 Beset by doubts, Moon must travel in the company of strangers to a distant realm where he will finally face the forgotten secrets of his past, even as an old enemy returns with a vengeance. "In The Falling World", Jade, sister queen of the Indigo Cloud Court, has traveled with Chime and Balm to another Raksuran court. When she fails to return, her consort, Moon, along with Stone and a party of warriors and hunters, must track them down. Finding them turns out to be the easy part; freeing them from an ancient trap hidden in the depths of the Reaches is much more difficult. "The Tale of Indigo and Cloud" explores the history of the Indigo Cloud Court, long before Moon was born. "The Dead City" is a tale of Moon before he came to the Indigo Court. 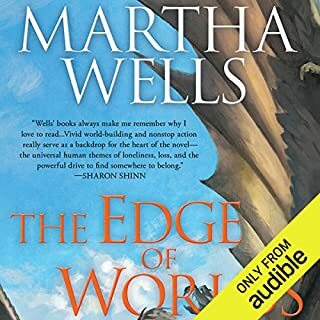 As Moon is fleeing the ruins of Saraseil, a groundling city destroyed by the Fell, he flies right into another potential disaster when a friendly caravanserai finds itself under attack by a strange force. In "The Dark Earth Below," Moon and Jade face their biggest adventure yet: their first clutch. 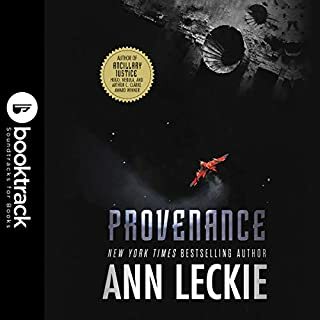 But even as Moon tries to prepare for impending fatherhood, members of the Kek village in the colony tree's roots go missing, and searching for them only leads to more mysteries as the court is stalked by an unknown enemy. 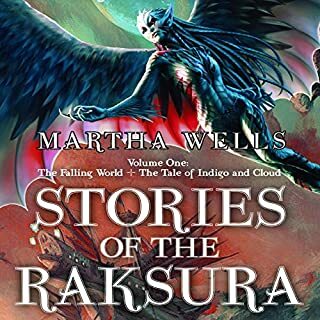 Stories of Moon and the shape changers of Raksura have delighted readers and listeners for years. This world is a dangerous place full of strange mysteries, where the future can never be taken for granted and must always be fought for with wits and ingenuity, and often tooth and claw. 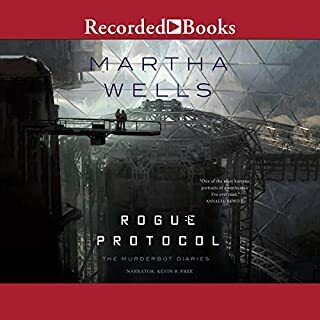 With these two new novellas, Martha Wells shows that the world of the Raksura has many more stories to tell. 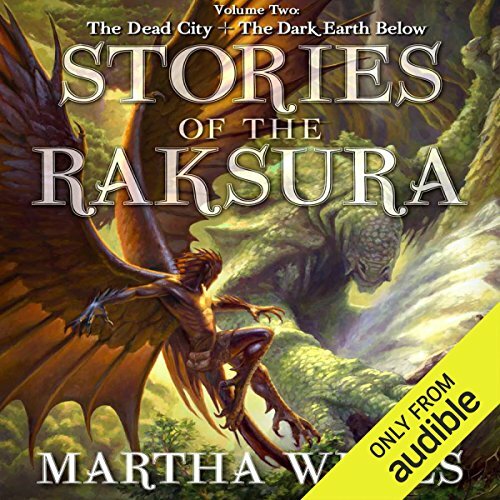 ©2015 Martha Wells (P)2015 Audible, Inc.
Would you consider the audio edition of Stories of the Raksura, Volume 2 to be better than the print version? 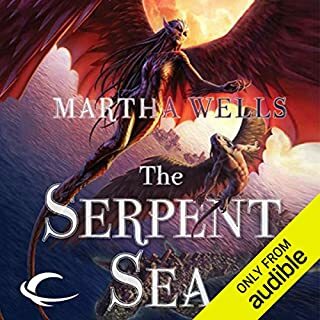 I haven't read it in print, but I have always enjoyed the audio book version of this series. What was one of the most memorable moments of Stories of the Raksura, Volume 2? The incredible sadness I felt for the groundling people in The Dead City, once it's revealed what happened there. What about Christopher Kipiniak’s performance did you like? Everything about it. 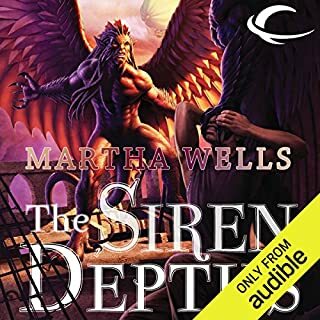 See my reviews of the book series proper for more detail, but I adore him and the way he does voices of all these characters. 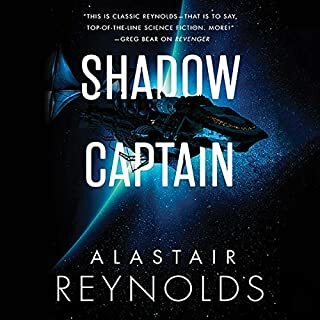 If you have enjoyed to the Stories of the Raksura, but still felt as though there were details missing/left unexlplored due to the pace and action of previous novels, then you will thoroughly enjoy this collection. 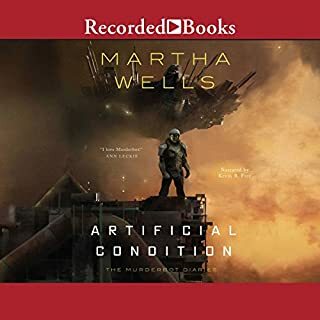 The narration is spot on, per usual and although there is certainly a healthy dose of action, I found the best part of this collection was in the small details. This book explores unanswered questions about clutches and clutching, relationship dynamics, and even glimpses into completely different parts of this world unrelated to the Raksura, resulting in a satisfying and engaging read. That is not say this stories aren't filled with action, as there is plenty action, but it was the small details I enjoyed most. 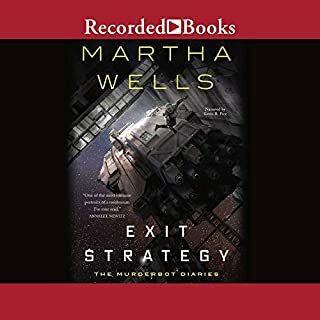 Wells takes time seemlessly weave more vivid descriptions characters and setting that may have felt to be lacking in the major novels. 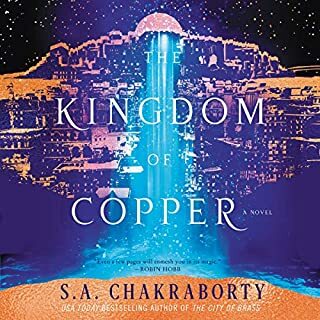 I would absolutely recommend reading/listing to this collection if you've been a fan of the Raksura. Pacing was good, details were refreshing and welcomed and it's an easy listen. I can't wait to see where Wells goes next in this fascinating universe that is clearly rich with details and stories waiting to be explored.